On the show this week: We discuss The Eat Lancet report in Food News. 5. Learn to use cheaper cuts of meat eg Lamb lap, shoulder and neck. Chuck Beef. Ask your butcher for help/whats good value today? 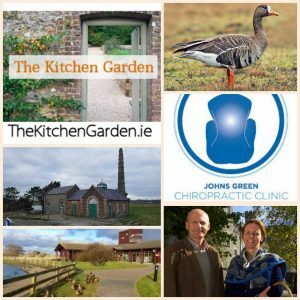 We talk to Chiropractor Michael Mahony from John’s Green Chiropractic Clinic on ways to avoid injury in the office or garden! In Nature Notes, we report from the Wexford Slobs and the Wexford Wildfowl Reserve. And in the Garden there are some jobs to do this week.